Well, that is one impressive dashboard of Audi RS4! It gives huge amount of flexibility for the driver to control the transmission with lot of ease, and get quick view of crucial information. 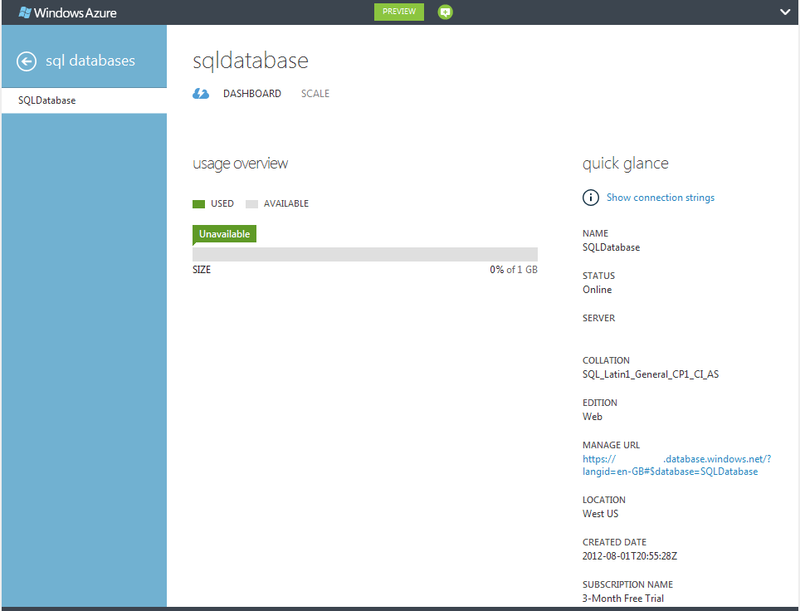 Windows Azure portal does provide a dashboard for SQLDatabase too! It will give information regarding space usage, available space, status of the database, server under which the database lives, collation, edition, location etc. One interesting option I noticed under the dashboard is Show Connection strings. 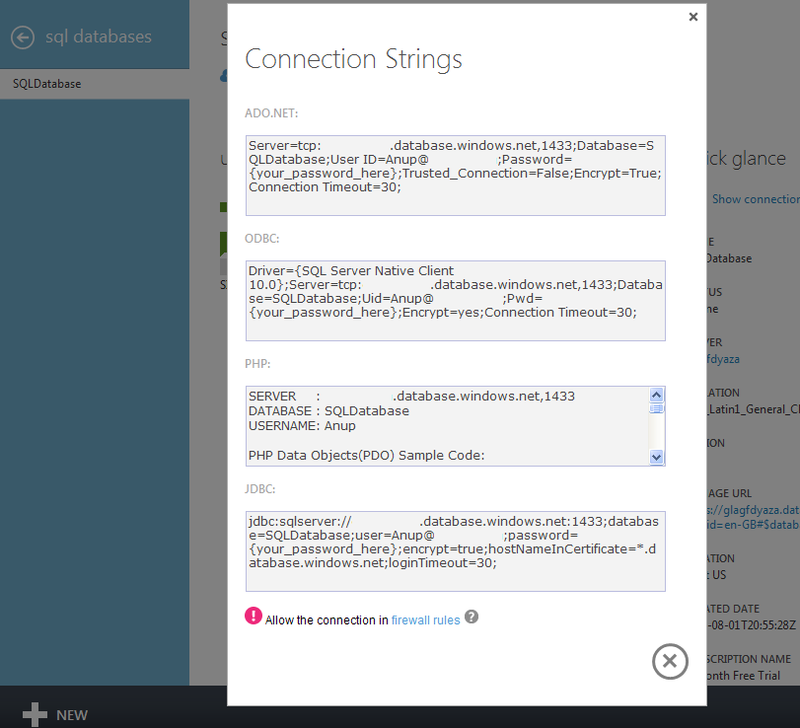 It gives you the connections strings for ADO.NET, JDBC, PHP and ODBC. Each server supports 150 databases and one among them is Master and 149 are user databases. 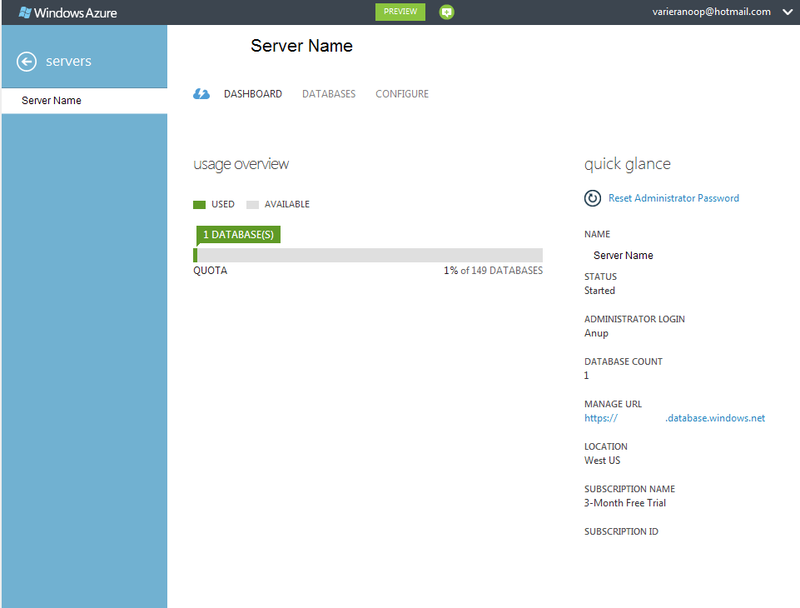 Dashboard gives you a quick overview of database as well as a server on windows azure and I hope over long run Microsoft will provide more and more features and flexibility for dashboard views. 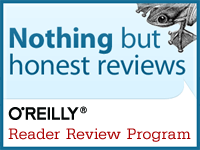 Love audi and yes, SQL – it’s great that you are exploring SQL Azure! Thanks a lot Paras,Happy to get a feedback from you !